Conservative activist James O’Keefe has warned that “this is the beginning of the end for the MSM” after releasing 119 hours of raw audio he claims is from CNN. The tapes were recorded by an anonymous source inside the organization in 2009, according to O’Keefe. The tapes are said to contain soundbites from current and previous CNN employees including Joe Sterling, Arthur Brice, and Nicky Robertson. O’Keefe is releasing the tapes under ‘Project Veritas’ in a series of WikiLeaks-style dumps. O’Keefe is offering a reward of $10,000 to anyone who exposes media malfeasance on the tapes and has asked the public to help listen to the hours of recordings and transcribe their information. In a statement from Project Veritas, the group claims the tapes show CNN misrepresenting polling data and displaying an anti-Republican bias. In a video uploaded to the project’s YouTube channel O’Keefe said Veritas would “investigate and expose the media, particularly the mainstream media that seems to believe the American people are incapable of making informed decision”, using their own tactics against them. 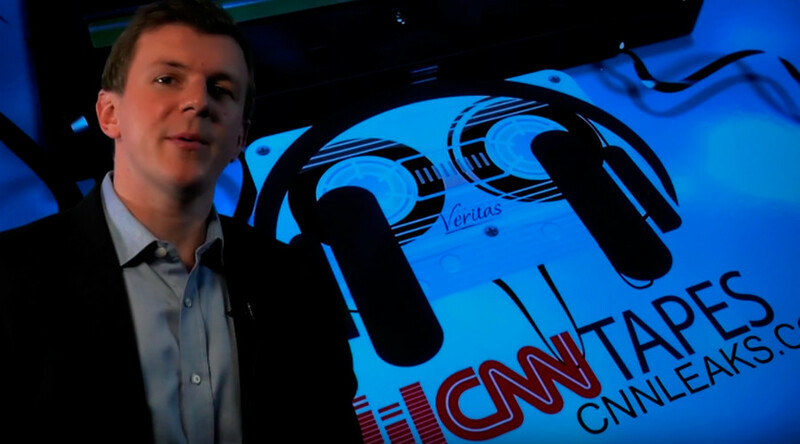 The tapes were recorded at CNN’s Atlanta headquarters, according to O’Keefe. “We don’t have the time or the manpower to go through all the tapes so we’d like you to go through the tapes for us,” he said. The raw audio, however, was not accessible at the time of writing, and sparked complaints on social media from eager would-be listeners. Some are blaming the problem on a server issue while others are throwing around accusations that censorship is to blame. @JamesOKeefeIII Is the #DeepState is blocking site?